Discover what true friendship are and how to make the ones you have even better! We’ll be using the Biblical examples of Jonathan, Nathan, and Solomon to teach us about true and life-giving friendships. 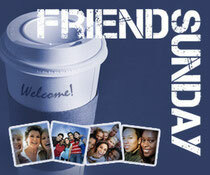 This is a huge outreach Sunday that includes a fellowship lunch following the service!